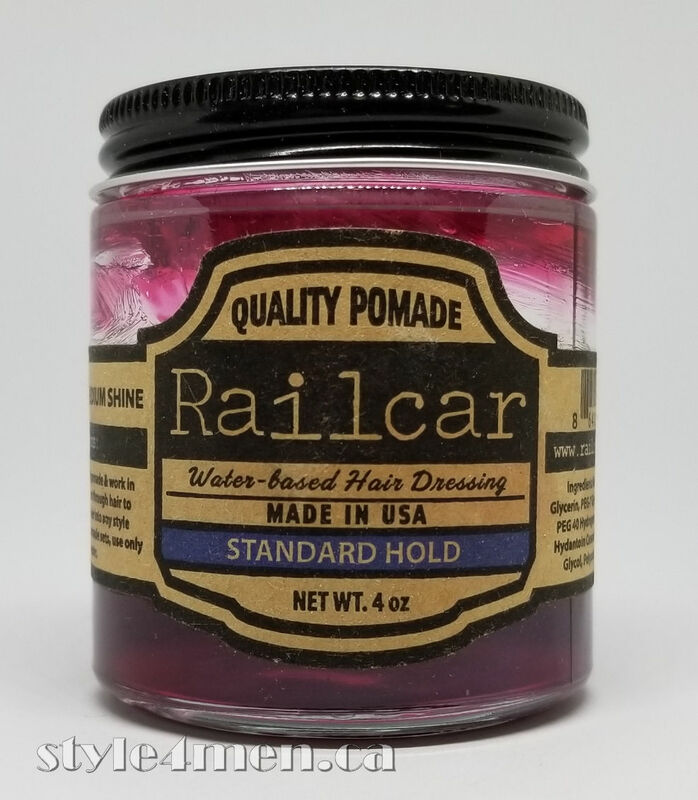 After having picked up a jar of Railcar “standard hold” pomade in Toronto last week, this morning was testing time. Let’s start by mentioning the packaging. It’s a glass jar with a metal lid – perfectly old school. In my mind, it set the tone right. If as a maker you are going to shell out extra money for packaging, it’s most likely because you are proud of what you are putting in that package. 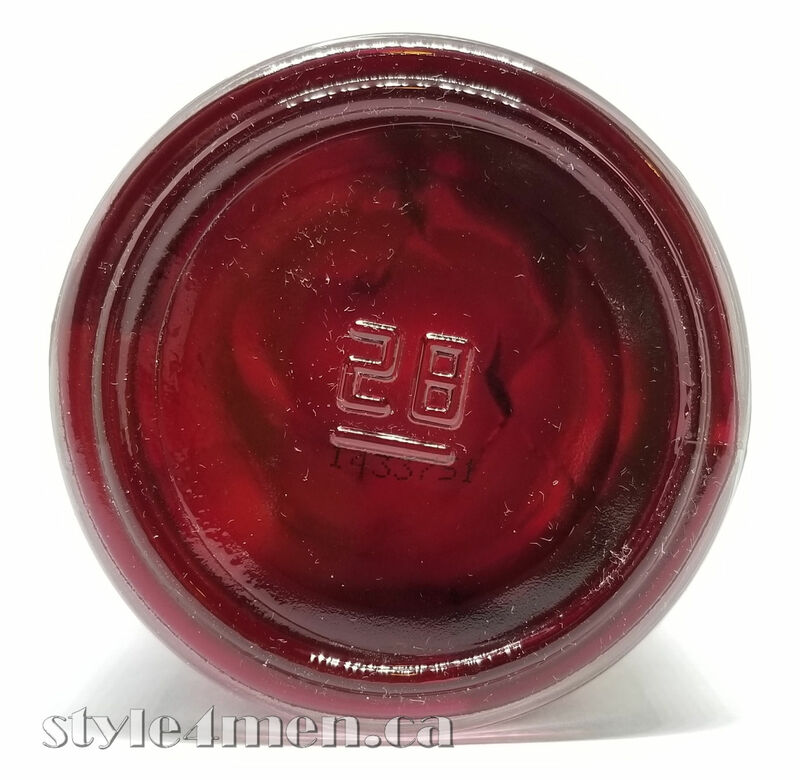 Opening the jar was just as much fun and I was greeted by a delicious cassis and cherry jam scent. It’s strong enough to show its colour but not so strong as to knock you down. The feel of the pomade is consistent with other quality products like; Zeus, 19|Fifties, Suavecito, Steadfast or Layrite. It’s a thick and jello-y texture. Obviously, like other pomades, you need to slightly relax the product in your fingers before application. Very easy to work with and it offers a smooth texture in your fingers. Note that the product is red and you might think that this could be an issue with your hair. Having dark brown hair, it became more or less invisible once applied. I can’t comment on how that might be in lighter coloured hair. 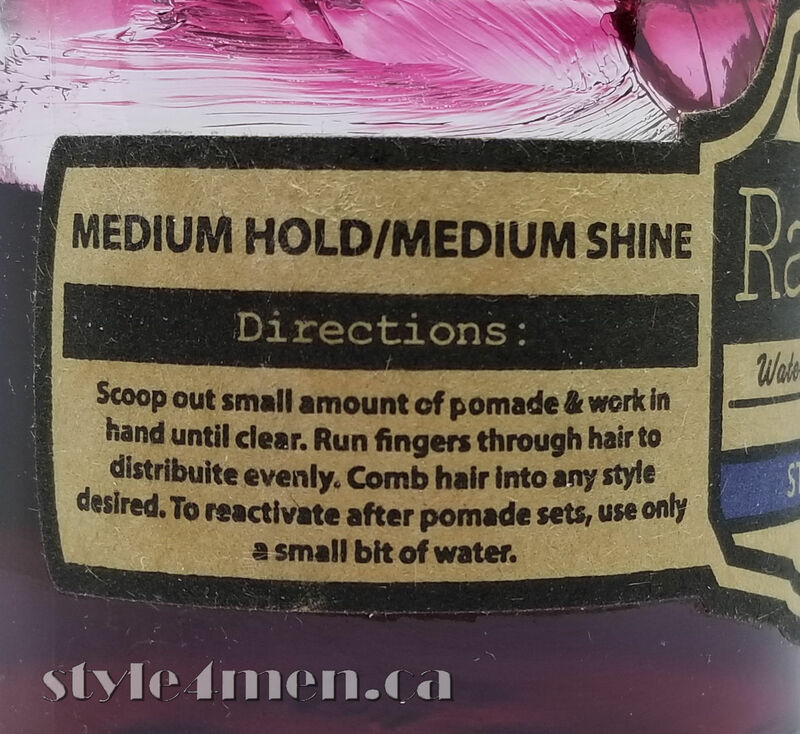 Considering you need very little of the pomade to achieve styling, I will assume that there is no real risk of the product colour colliding with your own colour. I am writing this review at the end of the day, so some 8 hours or more after the application and my hair is still rendering the styling of this morning. This will get it a great score for “hold”. 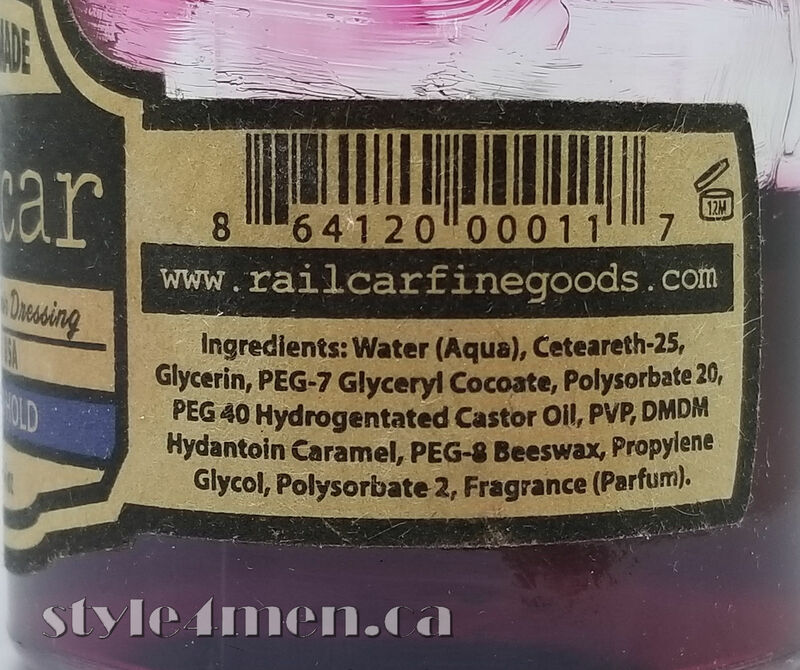 This pomade does not stay wet or active, it dries. But the hair stays quite soft to the touch. Not crispy or hard. You can tell that there is fixative, but it is minimal. It offers the same hold as Zeus for example but without drying too firm. 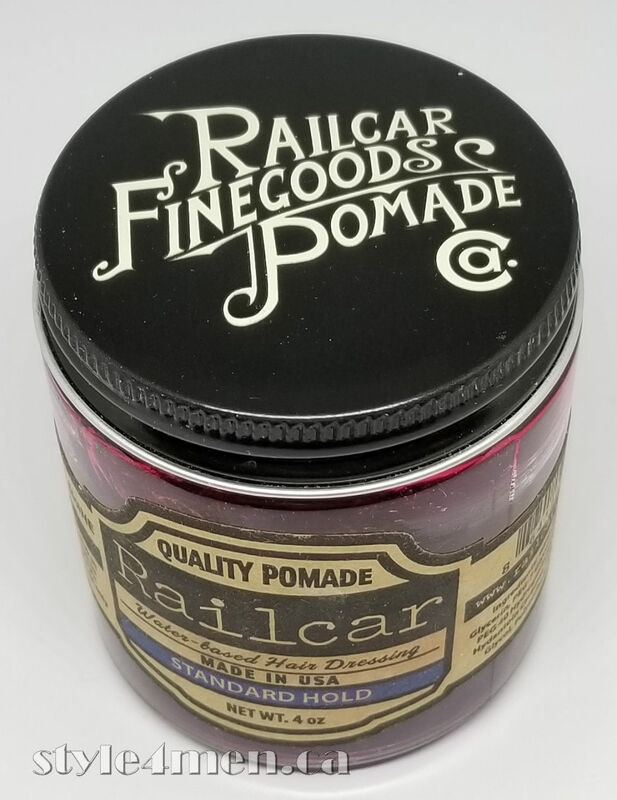 Railcar pomade is made in the US and is not that easy of a product to find here in Canada. Men Essentials has just started offering it and that is where I got my jar. Every now and then I update my posts to make corrections, update links, pictures and so on. As you can see in these new pictures, my jar has gotten used up. Considering the amount of pomade I go through, this is a true sign of appreciation. Ingredient wise, I am please to report that no parabens, alcohol and silicones have been invited to the party.